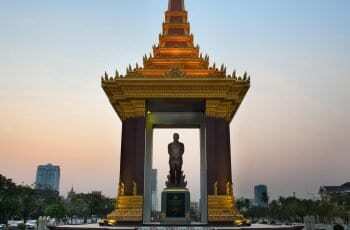 Since Cambodia reopened its borders to tourists in the early 1990s, visitors from around the world have flocked to this intriguing Southeast Asian country to experience its fascinating cultural heritage, to engage with the wonderfully welcoming locals, and to marvel at the numerous spectacular natural wonders Cambodia has to offer. 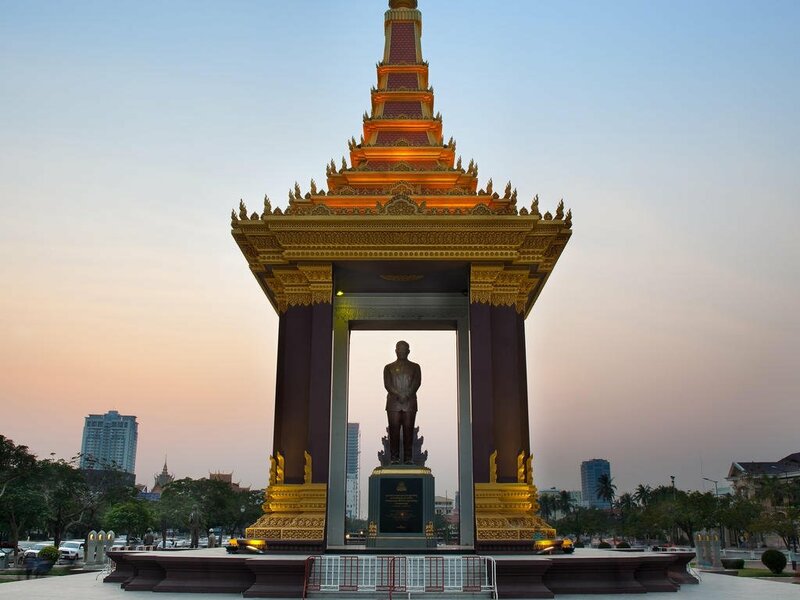 Phnom Penh, the nation’s bustling capital, is home to a slew of excellent restaurants, lively outdoor markets and a boisterous nightlife. 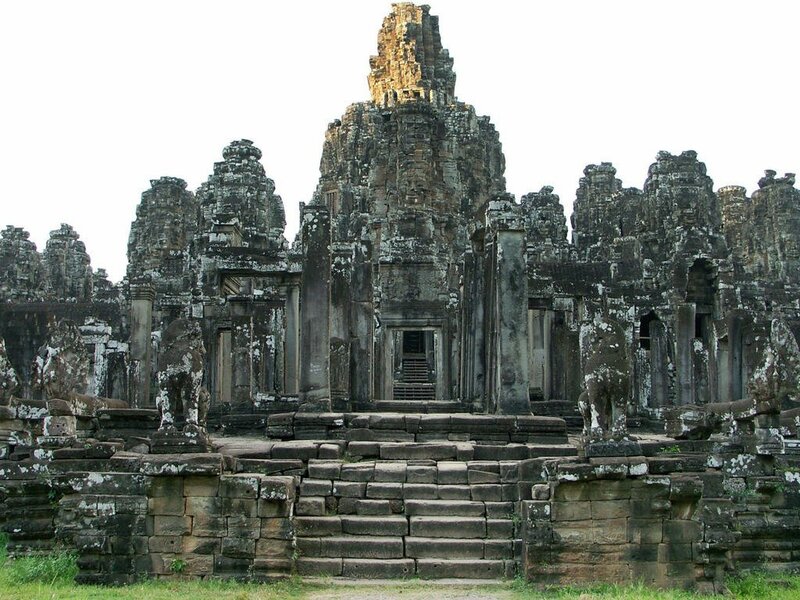 However, most of Cambodia’s most popular attractions are located beyond the capital. Tourist favourites include: the sleepy French-influenced town of Kampot with its lovely promenade dotted with gorgeous French villas and charming riverside cafes; the breathtaking waterfalls of the lush jungle-clad Cardamon Mountains; and, of course, the awe-inspiring ancient temple complex of Angkor Wat – the world’s largest and arguably most impressive religious structure. 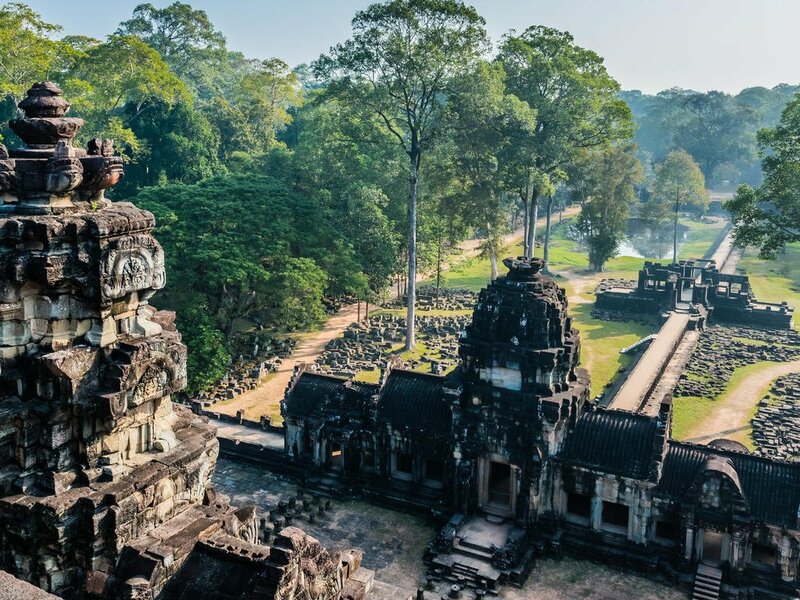 Cambodia serves travellers of all sensitivities, whether they're seeking adventurous jungle excursions, exquisite golden sand beaches, luxury resorts or sumptuous exotic cuisine, Cambodia truly does have it all. In Cambodia the standard voltage is 230 V. The standard frequency is 50 Hz. 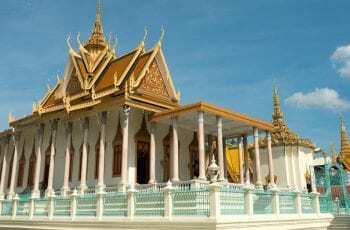 The power sockets that are used are of type A / C / G. If you travel to Cambodia with a device that does not accept 230 Volts at 50 Hertz, you will need a voltage converter. If your device is compatible for 230 volts, you will only need a plug adapter. All water should be regarded as being potentially contaminated. Boil or sterilise water for drinking, brushing teeth or making ice. Bottled water is widely available. Milk is also unpasteurised and should be boiled. Powdered or tinned milk is available and is an advisable alternative to fresh produce. Avoid dairy products which are likely to have been made from unboiled milk. Only eat well-cooked meat and fish. Vegetables should be cooked and fruit peeled. Hygiene is something travellers should be aware of when travelling to Cambodia. Roadside street food stalls and restaurants are fun to try but may not have the strictest cleanliness habits. Stick to freshly cooked piping hot foods to avoid sickness.As is the case elsewhere in South East Asia, the quality of the food is a draw in its own right. Khmer cuisine shares much with that of both Thailand and China, although it tends to steer clear of excessive use of spices. Quality restaurants are found in all areas that see mainstream tourism, while cheap but tasty food stalls are ubiquitous around the country. Most meals are rice-based. 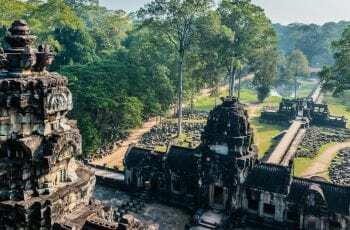 Cambodia is blessed with one of Asia's simpler weather systems and despite having two distinct weather seasons you can travel in Cambodia all-year-round. 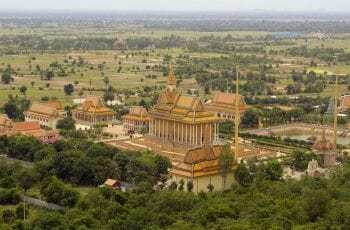 In general, the entire country is subject to the same weather patterns, mainly due to the relatively uniform altitude and latitude throughout Cambodia.There are two distinct seasons – dry (October to late April) and wet (May to late September). Within each season there are variations in temperature, with the final few dry months leading up to the wet season (March and April) and the early months of the wet season (May and June) usually being the hottest of the year with temperatures in excess of 35°C at times.Humidity is at its height during March and April whilst the coolest months of the year tend to between October and December, however this is cool for Cambodia but far from chilly (avg temperatures 24°C – 26°C). 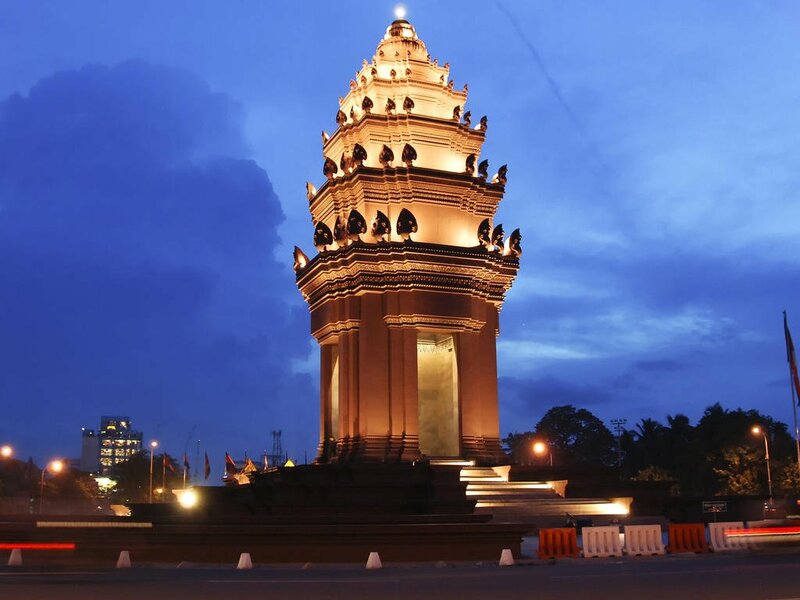 Cambodia is blessed with one of Asia's simpler weather systems and despite having two distinct weather seasons you can travel in Cambodia all-year-round…. 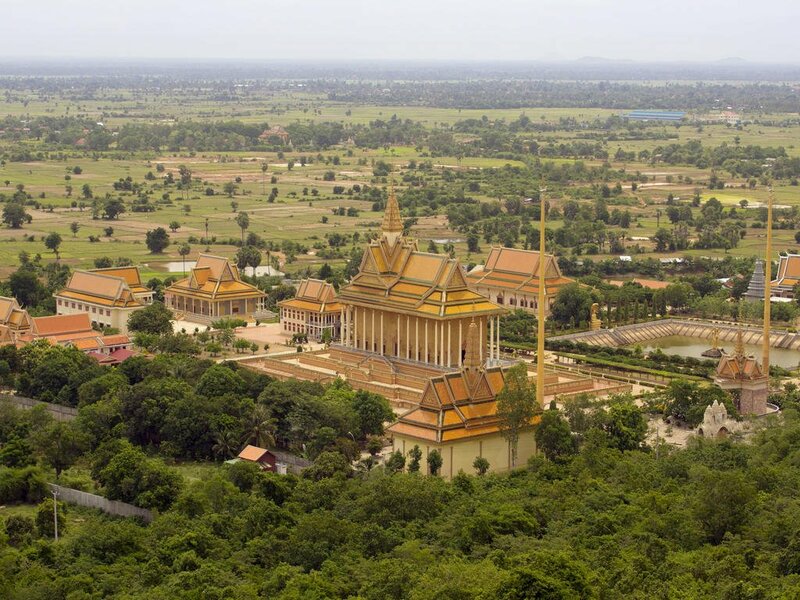 Getting around Cambodia is all part of the adventure. Massive improvements to the national highway network in the past few years have made getting around the country much easier than it once was, with many formerly dirt roads now surfaced and new highways built. Even so, getting from A to B remains time-consuming: roads are still narrow and bumpy, while regular wet-season inundations play havoc with transport.Driving in Cambodia is on the right-hand side of the road.Speed LimitsThe standard speeds are as follows:• 90 km/h (56 mph) bike and care maximum speed limit • 60 km/h (37 mph) truck maximum speed limit• 60 km/h (37 mph) on motorway in towns• 100 km/h (62) on motorway outside of townsIt’s virtually impossible to rent a self-drive car in Cambodia, and even if you do, driving yourself entails numerous headaches. Problems include finding appropriate documentation (your driving licence from home may or may not be considered sufficient – some companies will ask for a Cambodian driving licence, for which you’ll need to take a driving test) haphazard driving by other road users; and insufficient insurance – any loss or damage to the vehicle is your responsibility.When heading off into the countryside, remember that Cambodia (in spite of clearance programmes) has a huge problem with land mines, and no matter how tempting it may be to go cross-country, stick to well-used tracks and paths.Cambodia Angkor Air is the nearest thing Cambodia currently has to a national airline and operates the country’s only domestic flights, with services between Phnom Penh, Siem Reap and Sihanoukville (around $70 return), from Siem Reap to Ho Chi Minh City, and also from Phnom Penh to Hanoi, Saigon and Bangkok. Note that from Phnom Penh and Siem Reap there’s a $6 departure tax for domestic flights.For years, Cambodia’s appalling roads meant travelling by boat was the principal means of getting between Phnom Penh and Siem Reap, but these days it’s easier and quicker to travel by road. Even so, boats (seating about thirty people) still run daily between Phnom Penh and Siem Reap, as well as Siem Reap and Battambang. The trip to or from Phnom Penh isn’t particularly scenic, as the Tonle Sap lake is so vast it’s more like being at sea. The trip to or from Battambang is more interesting, combining a trip across the Tonle Sap with a journey down the Sangker River. Neither journey is particularly comfortable: space and movement are restricted, and a cushion, plenty of water, food and a hat will make things more bearable. Be aware that in rough weather the Tonle Sap can whip up some fierce waves. Cambodia is a hot and tropical country, so natural fabrics e.g. linen, cotton and silk will keep you cooler than synthetic fabrics. Lightweight, loose-fitting cotton clothing, long-sleeved pants and long-sleeved shirts will protect against mosquitoes and the sun. Merino wool is a good choice to wear against your skin as it naturally helps to regulate your body temperature. It keeps you warm in the cold, wicks away moisture when it's hot, and doesn't retain odours – even after prolonged wear.If you plan on hiking, a pair of good lightweight walking boots with ankle support are a must. Good sunglasses are a necessity, as it a sunhat and plenty of sunscreen. Travel light – it is cheap and easy to get your laundry done. Please consult your health-care provider 4-6 weeks prior to travel to ensure you are receiving all required vaccinations, and that the medication has enough time to take effect. We highly recommend the purchase of travel insurance with medical benefits, and that you bring any personal medication with you. Please also check with your health department prior to departure for any changes in health regulations.Recommended Immunizations/Vaccinations:• Routine vaccines – recommended for all• Hepatitis A – recommended for all travelers over one year of age• Typhoid – recommended for all travelers• Malaria prophylaxis – highly recommended for all travelers• Hepatitis B – if not previously vaccinated• Rabies – recommended for travelers spending a lot of time outdoors• Japanese Encephalitis – You may need this vaccine if your trip will last more than a month, depending on where you are going in Cambodia and what time of year you are traveling.• Yellow Fever- There is no risk of yellow fever in Cambodia. 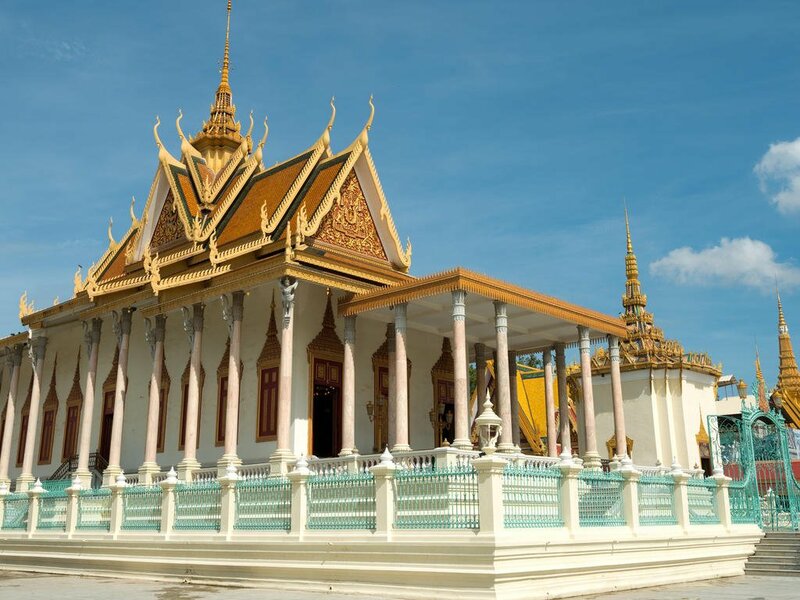 The government of Cambodia requires proof of yellow fever vaccination only if you are arriving from a country with risk of yellow fever. This does not include the US.MalariaIt is inadvisable for pregnant women to visit malarial areas as malaria infection during pregnancy can be detrimental to both mother and child. Malaria can be prevented if you are sensible and take basic precautions, such as:• Use plenty of mosquito repellent. Some camps provide a locally made repellent but please bring your own as there may be skin sensitivity.• Wear long-sleeved shirts and trousers/slacks in the evenings.• Please use the mosquito net over your bed where supplied/available.• If staying in a bungalow or tent, spray with a suitable insecticide to kill any mosquitoes that may have flown into your room.• Mosquito coils are also effective. 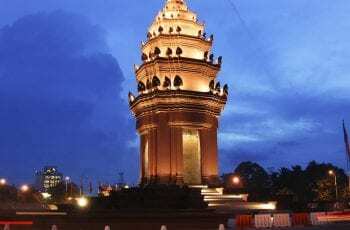 Cambodia is safe in general. We recommend normal precautions be taken as you would for any city in the world. Be aware of your surroundings and stay in well-lit areas. Don’t flash wealth. If you have items of sentimental value, leave it at home. Visitors should avoid all political gatherings and demonstrations.When travelling on the wild side go with a reliable and experienced guide. Though tens of thousands have been removed, there are still landmines left over from years of war. There are still an estimated 4m undetonated mines in the country.Drugs such as marijuana, ecstasy, opium, cocaine and heroin are readily available in Cambodia, but drugs penalties are harsh, and being a foreigner will not give you any protection. ENTRY REQUIREMENTS Make copies of all your important documents such as passports, driver’s licenses, credit cards, etc. Keep copies with you and back at home. If anything is lost or stolen this will be a lifesaver.Passport:Passports must be valid for at least 6 months beyond the intended departure date. 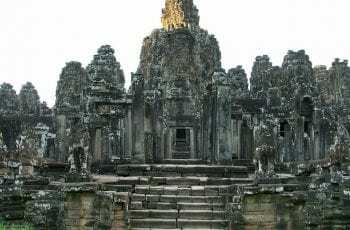 Please ensure you have at least one blank visa page (not endorsement pages) in your passport.Visa:A tourist visa is required for US Citizens traveling to Cambodia. Non U.S. citizens should consult with your local embassy.